The Chills were never ever apathetic and for that I am very thankful. But when I get a bit apathetic, I listen to cuts on Brave Words and remember when I could find so much inspiration in music, and when such bands could inspire so many listeners like me. 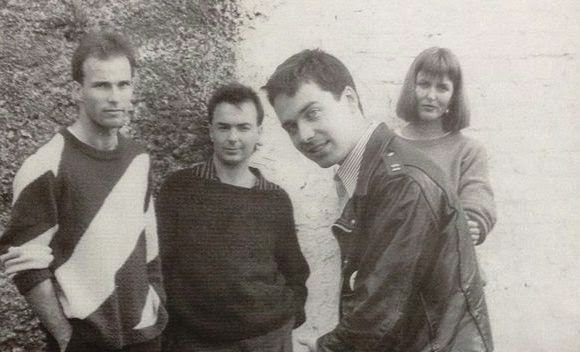 In the spring of 1988 I bought Brave Words by The Chills on cassette. This would have been right before I bought my first CD player and in the era when Gerald Cosloy's wonderful Homestead Records was distributing stuff like this in America. They were doing God's work, really. With The Chills I was rewarded and I continue to be rewarded the more I listen to them. With the exception of perhaps The Go-Betweens, there is no other band of that era that I still hold in such high regard. More than any subsequent shoegaze band, more than any band I loved so much back then on 4AD, The Chills really opened up a new world of sound to me. Who were these literate musicians from the other side of the planet? Who could write something like the song "Brave Words" and not sound insincere singing those wonderful lyrics? The Chills were direct, smart, and witty in an era of ironic detachment and whatever you call the post-punk vibe that gave birth to grunge. 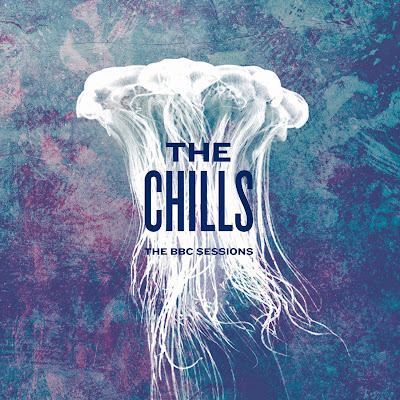 Well an answer to that first question is here in the form of the fantastic The BBC Sessions by The Chills, out now on Fire Records. First, let's look at the details of these sessions. "Dan Destiny and the Silver Dawn"
First off, let's be honest about something. I have heard a few of these cuts floating around on the Internet and maybe you have too but these sound fantastic here! Fire Records has done an amazing job at cleaning up and remastering these nearly 30-year-old cuts and the results are immediately apparent within a few seconds of the start of "Rollin' Moon" on this compilation. "Wet Blanket" positively soars here while "Brave Words" has an immediacy that surpasses the version on the album. This first session is the rare case of a band being perhaps better represented by a radio session than the resulting studio album. However, that unique phenomenon was a purely 1980s thing and it usually involved a band who had done a session on the John Peel radio show. The highlights of the second session are the nearly punk-y version of "Dan Destiny and the Silver Dawn" that opens the set and the rare "Moonlight on Flesh" that gives a hint of the sort of thing that The Chills would do on 1990's perfect Submarine Bells. The near-instrumental here points the band in a slightly new direction as they try out textures they would use in their later recordings. Speaking of Submarine Bells, "Part Past Part Fiction" shows up here in a slightly different version than what would end up on the 1990 album. It's closer to label-mates The Verlaines in this incarnation but it's still a glorious cut and one of the very best things the band would record in the 1990s. "Dead Web" also makes an appearance on The BBC Sessions and the song is tougher than it would sound on Submarine Bells -- there's more punch here, in my opinion. The real treasure of this third session is the inclusion of rarity "Christmas Chimes" which charms in the style of "Satin Doll" or another older track. The BBC Sessions by The Chills is out now on Fire Records. It is, obviously, one of the most significant re-issues of the year. I'm still trying to fathom how the NME only gave this an 8 out of 10. What!?! How is this in any way not a 10? I say that as a Chills fan but also as a fan of simply expertly crafted pop and The Chills in these 3 sessions were quite possibly one of the 5 best bands in the world. And if you ask me why, I'm gonna play stuff from this period and probably now pick some of these versions over their album versions. The cuts are that revelatory.